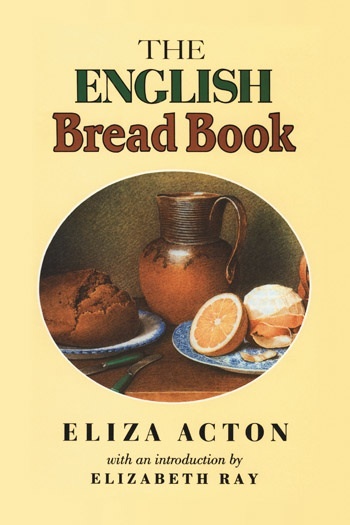 Elizabeth ‘Eliza’ Acton (1799 -1859) was an English poet and cook who produced one of the country’s first cookbooks aimed at the domestic reader rather than the professional cook or chef, Modern Cookery for Private Families. In this book she introduced the now-universal practice of listing the ingredients and suggested cooking times with each recipe. Isabella Beeton’s bestselling Mrs Beeton’s Book of Household Management (1861) was closely modeled on it. Elizabeth Ray studied at the London School of Economics and was a social worker in London and Kent for many years. 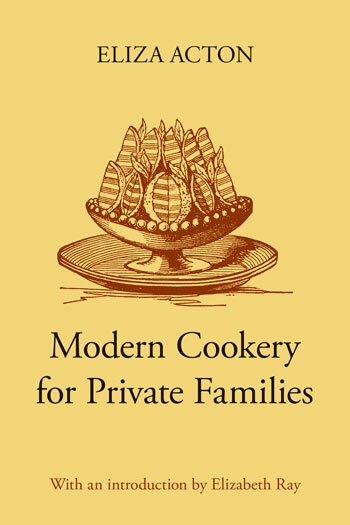 She has always been interested in domestic and social history, and has written several cookery books and a biography of Alexis Soyer, as well as contributing to such magazines as Homes and Gardens and À La Carte and writing a food column for The Sunday Telegraph. Elizabeth Ray is the widow of wine writer Cyril Ray (with whom she wrote Wine with Food. This was the last of Eliza Acton’s books, published two years before her death in 1859. It is not only a collection of bread recipes of all sorts, from household bread to Sally Lunns, but also a polemic on healthy eating which is still relevant 150 years later. Although she was a firm believer in home baking, she also advocated machine dough – mixing in commercial bakeries – and compared the new French machine methods with the filthy conditions and hard lives of the English bakers of the time. There are chapters on flours, yeasts, ovens and breadbaking for beginners. Although this book created a sensation when it first came out in 1857, it has never been reprinted and is now an extremely rare book.